Sleepyhead in Spoonful of Stories! Great news! 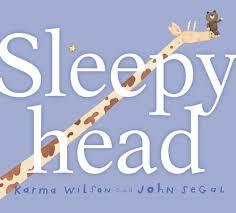 Sleepyhead was chosen to be a Spoonful of Stories book. This is exciting because it means that my book is getting right where every children’s author dreams their books will end up–the hands of kids. Spoonful of Stories is a literacy project that is a joint effort of Cheerios and First Book (children’s literacy charity). This time the news gets even better though– every book will have the story printed in both English and Spanish! If you’d like to learn more about this great project or just discuss literature in general, the awesome Mom It Forward blog is hosting a Twitter chat tomorrow and I’m a panel member! Hope to see ya there. Here’s some info. Party Favors: Click here to check out this week’s giveaway sponsored by Cheerios. RSVP: Please leave your Twitter ID in the comments to follow and be followed (on Twitter, of course!) by other #gno gals. The best format is as follows: http://twitter.com/jylmomIF. Written by Karma on October 12, 2009 at 4:21 pm and filed under Blog, Book News.